Looking for NSW boat transport, Vic boat transport, Qld boat transport or interstate boat transport? 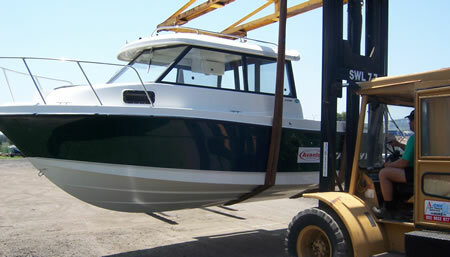 We offer professional Boat Transport you can depend on! Call or email Boat Terminal Transport & Storage today. Boats transported up to 7.3 metres in length (24Ft) depending on drive type weight etc. The cheapest option when transporting your item is usually depot to depot, however pick-ups are no problem but do attract extra cost. We do offer container unloading services at or Silverdale NSW facility if you are importing new boats. We generally require pictures of how the container is loaded to provide pricing estimates. All items in transit are fully insured with "Transit Cover" insurance. For more information about our boat transport services please feel free to phone our office during business hours on 0247740398.